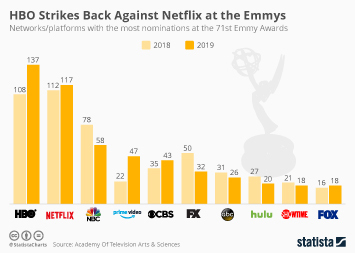 Aside from Netflix, which dominated the headlines after Thursday’s Emmy nominations, several other online video platforms have set their eyes on the biggest prize in television this year. 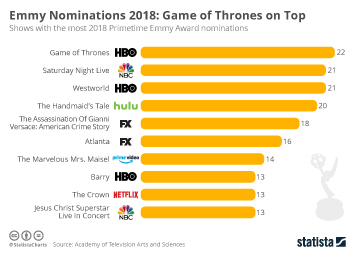 Hulu, Amazon, YouTube and Vimeo all nabbed multiple nominations on Thursday and even Apple, whose video ambitions for Apple Music have been off to a slow start, received a nod for its Carpool Karaoke series. 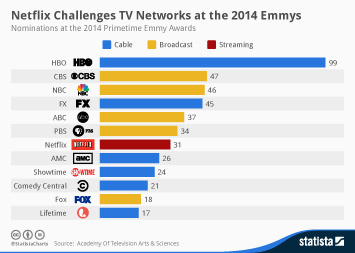 With Netflix overtaking HBO, and Hulu and Prime Video making it into the top 10 most nominated networks, it is clear that online services will play a major role in the future of television. 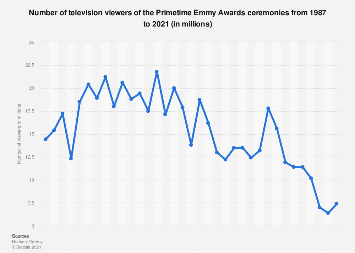 In its mission statement, the National Academy of Television Arts & Sciences vows to “recognize, encourage and advance excellence in the television industry across all media”. 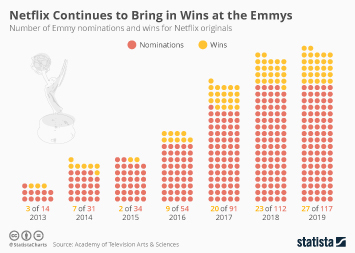 This year’s Emmy nominations are a testament to the Academy’s willingness to recognize quality content for what it is, regardless of how it’s delivered to consumers. 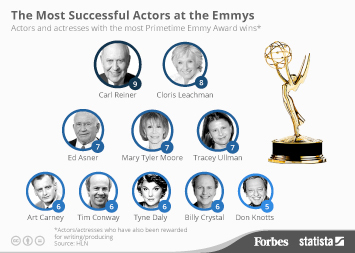 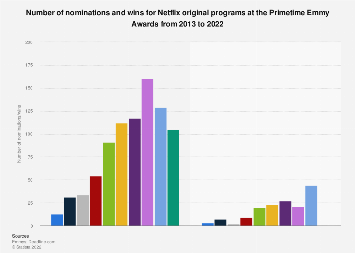 This chart shows how many Emmy nominations slected major online services received in 2018. 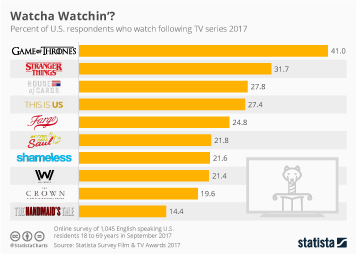 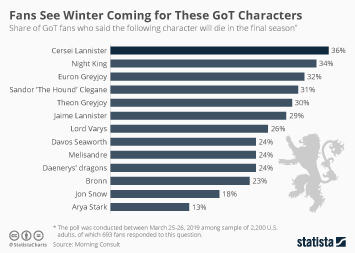 Which Television Series Are Americans Watching?